Women at forty asks, was this the decade from hell? No doubt, the first ten years of the new century have gotten off to a pretty rocky start. TIME blames it on a combination of chance, neglect, greed, self-interest and deferral of responsibility. I think they’re right, and it got me thinking about my personal decade and wondering whether I’d call it a decade from hell. Taking a long hard look at the past 10 years of my life has been revealing. Two major layoffs – one from a job that allowed me to travel internationally, something I’d always dreamed of, a couple of bad relationship choices and the end of a 15 year friendship, on paper anyway, screams of a decade in need of a do-over. If the me at 30 read a story about the me at 40, I’d demand a rewrite. The me at 30 would probably choose to stay in the ignorant (and thinner) bliss of 30. But if I did that, I’d miss the faith and optimism that I’ve developed over the past, not so easy, decade. The ability to see the positive despite standing in the face of the negative isn’t something we’re born with, it’s developed through adversity. Iron sharpens iron, and it’s been a heavy metal decade for me. The bad relationship choices I made could have ended up worse. I could have been married to the wrong person, miserable and unhappy. And the end of the friendship meant the beginning of new ones. Our nation and the world have suffered over the past 10 years, but I think it’s precisely because of the hard times that we’re still standing and stronger than before. We’re all still moving forward, one day at a time, and that’s why I won’t call it the decade from hell. 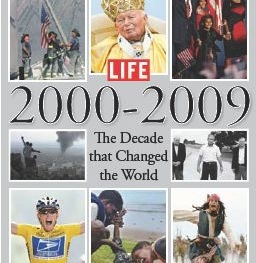 How was this decade for you? Did it unfold the way you thought it would? Share your thoughts and stories in our comment section, or on our Facebook Fan page. 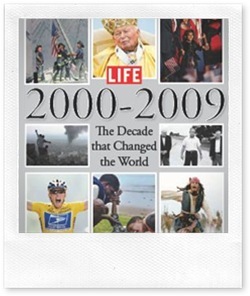 Thinking back to 99, it seems so silly to hear about Y2K and all the drama related to it. This decade has been rough in many ways, but also hopeful. Terrible natural disasters, the tsunami, Katrina, wild fires. Wars in Afghanistan and Iraq. Economic woes not seen in generations, the horrible housing market and economy, and the high unemployment rate. But, there’s always room for hope. Thank God that despite all of this, I'm still here, my family is well, and I’m 10 years wiser. Plus, who would have believed that in this decade, the US would elect the first black president. 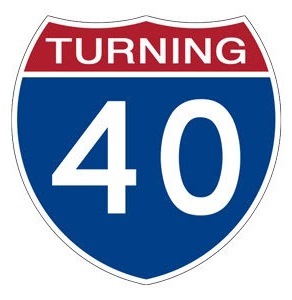 I’m not 40 yet, but never thought I’d see that day in my lifetime. Things can change and I hope and pray they do. Here's to a better decade!! Well said J. Despite all the turmoil, we have seen tremendous changes during this decade, including the election of the nation's first African American president. Things can change, and I share that hope with you. Thanks for commenting!